We are very fortunate that a group of enthusiastic John Muir Trust (JMT) Volunteers spend one or two weeks over the course of each year helping us with various tasks across the Estate including beach cleans, footpath repair and other maintenance work. 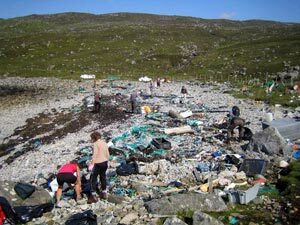 Since their first visit in 2004 the JMT volunteers have cleaned beaches at Traigh Mheilein, Bagh Theilisnis, Huisinis, and Crabhadail. 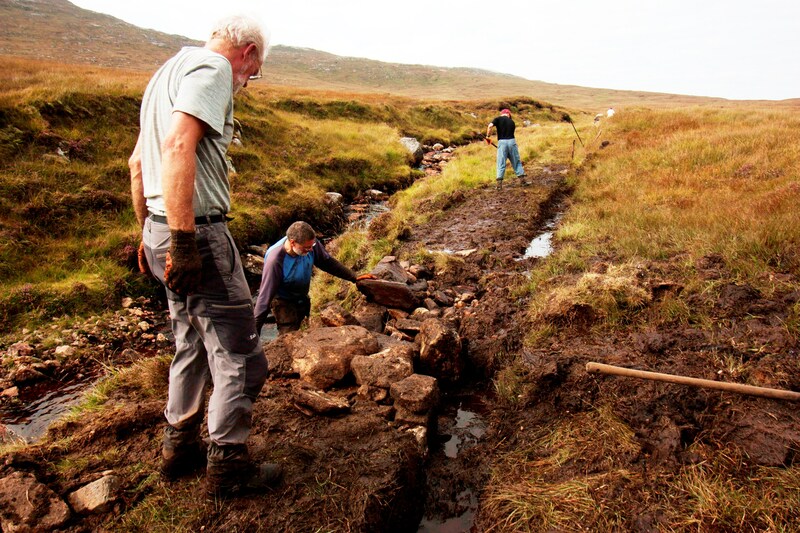 In more recent years the JMT volunteers have helped us with the clearing and treatment of gunnera and earlier this year they helped us finish off the new fence from Trolmarig – Loch Laxdale. In addition to JMT work parties we have hosted volunteers from the Harris Stalking Club and various other community groups who have helped with path maintenance, tree planting, and deer counts. Without the help of these volunteer groups we would not have been able to carry out many of the “outdoor” projects we have in recent years and so we are very grateful indeed for all of their willing help. If you are keen to get involved please get in touch. We would very much like to expand o ur volunteer base and increase community involvement in management of the estate.